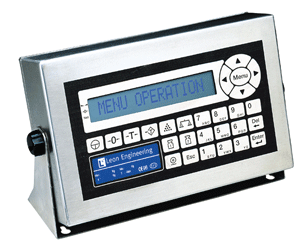 The weighing indicator LD5218 is a compact and powerful alphanumeric terminal, designed for numerous weighing applications, varying from a simple fixed tare weighing operation to powerful truck in/out management systems. User friendly conguration and operation, hardware and software reliability, and legal-for-trade accuracy in an attractive enclosure ensure high performance to meet the most demanding needs. This indicator is one of our best selling products!